Samui's original premier beach club. Weekly events, Soul Saturday & Sundays including food, music, sun, sand and partying by the beach, poolside. Take in the sweeping ocean views and striking futuristic architecture. Lounge under clear blue skies on super large beds and private cabanas. Share exquisite champagne, cocktails and wines. Refresh in the ocean-front chemical-free infinity pool. Take in the easy ambient grooves of guest DJ's and live performers. Access to the Ocean Club for non-residents and those not staying at Beach Republic The Residences is 1,000 Baht per person. 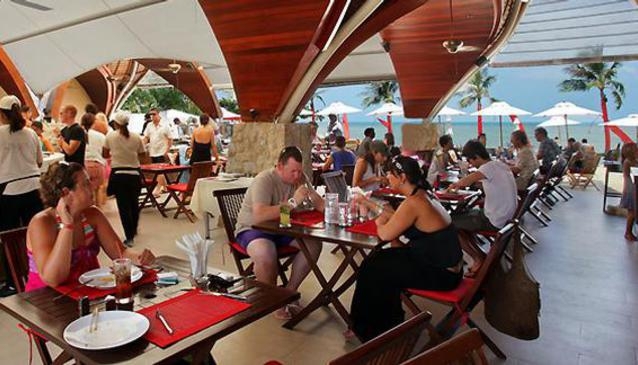 This fee is waived when spending 1,000 Baht or more per person on food or drink. Applies to tables in the main dining area, and to all Citizens getting food from the buffet or drinks from the bar. Just fill out the SEND A QUERY button on your right to contact Beach Republic directly.